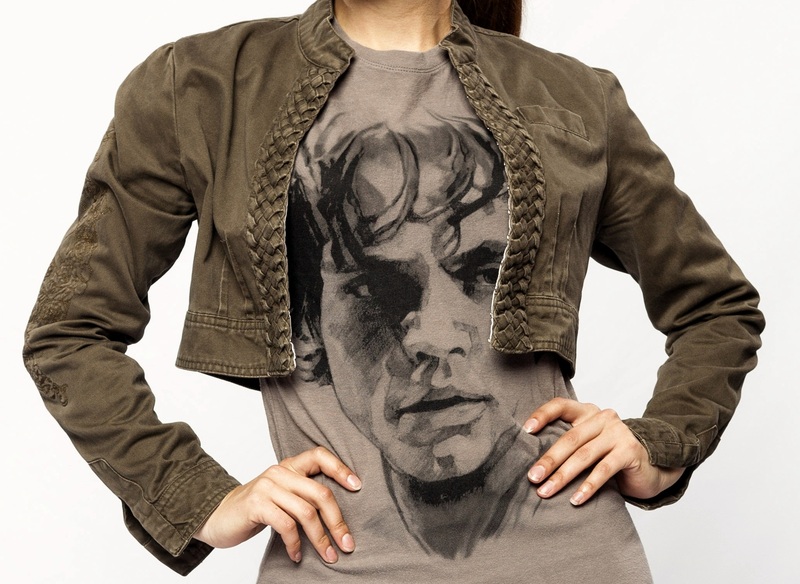 This Luke Skywalker shirt was available from Her Universe last year and was an instant buy for me. While having a large face printed on a shirt might seem a bit “loud”, the neutral coloring keeps it from being too in-your-face. Her Universe offers a variety of stylish tops that can be the perfect start for a chic geek ensemble. And of course, you can always try your hand at making your own by looking at tutorials online, like the ones we have on tearing up shirts and painting shirts. I’m a little embarrassed to say that I’ve had this cropped jacket in my closet for many a year. It was the kind of purchase where I really liked the style and bought it right away, but had no idea what I’d wear it with! Well, it’s finally proven itself to have been a worthwhile purchase as I think it goes perfectly with the rest of this outfit. This jacket always vaguely reminded me of Luke’s Bespin jacket, so when I bought the shirt, I knew the perfect jacket to wear with it. Cropped, or bolero-type jackets are a great way to layer an outfit and dress up a t-shirt. They’re not as formal as a full jacket, and being short, they’re flattering for all shapes and help accent the waist. 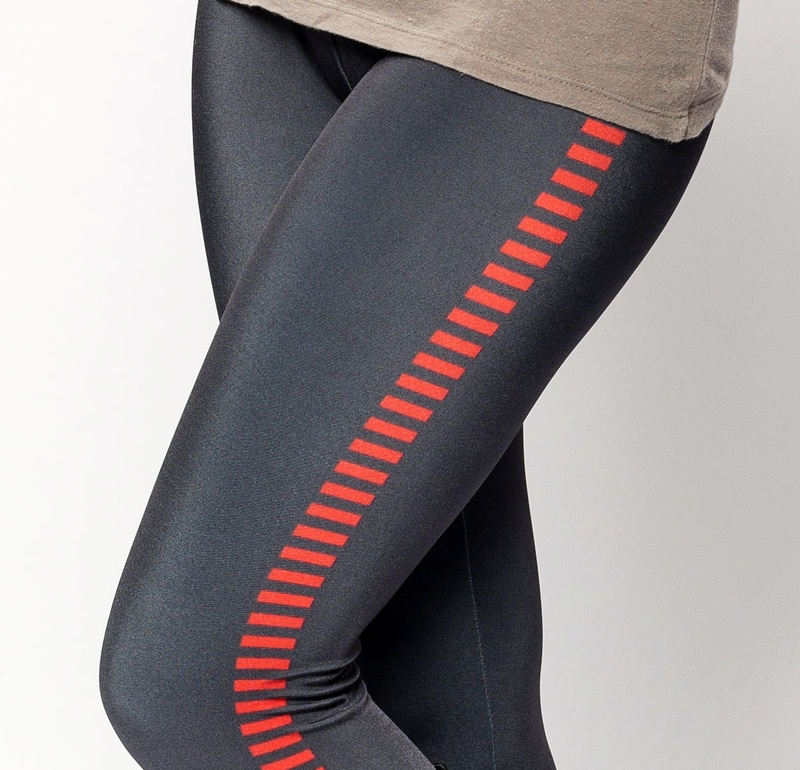 My fiance made these leggings for me, and are now available on his clothing website, Gold Bubble Clothing! You might recognize these boots from one of my previous looks, Look # 4. These simple but stylish low-heeled, knee-high black boots are my general go-to choice to complete a look when I’m not sure what shoes to wear. 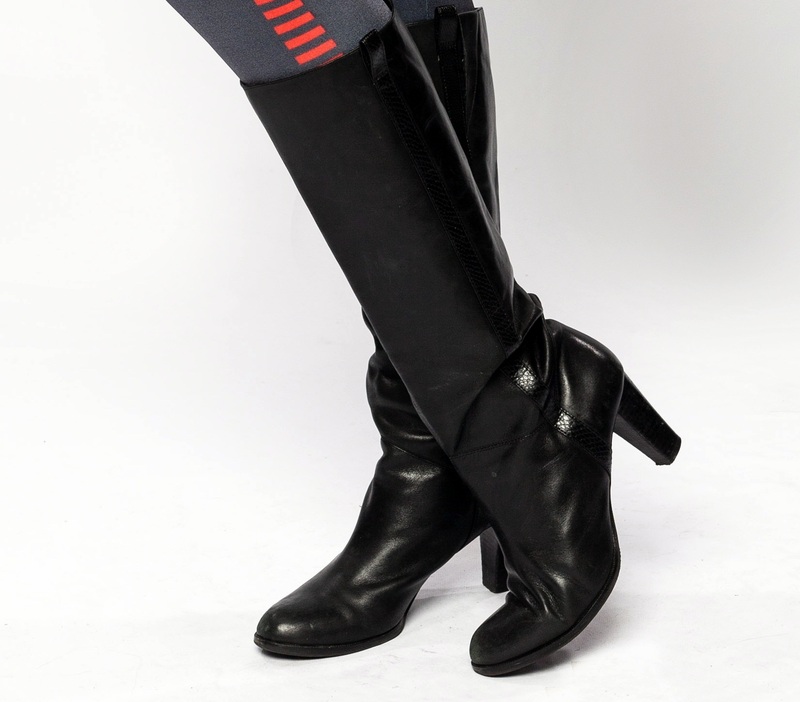 They’re like a feminized version of the Imperial Officer boots…or so I tell myself. Low-heeled boots like these, or pumps, can really dress up a look, whereas sneakers or sandals will make it something more casual. One thing I know for sure, boots are always in style! Lego lightsaber earrings! 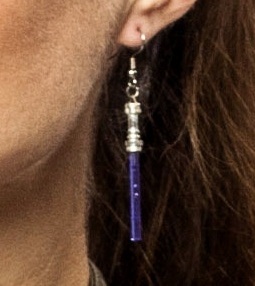 These are a fun, simple and popular earring made from Lego lightsabers. There are numerous sellers on Etsy who offer them in different colors – red, purple, pink, blue, you name it! You can find a pair here on Etsy. Like the Star Destroyer earrings, they’re super geeky but subtle at the same time. I’m looking forward to Celebration VI next week as I know I’m going to see dozens and dozens of amazing Star Wars inspired outfits. It’s going to be awesome! I’ll try to grab photos of as many looks as I can, but I know there are going to be loads I’ll still end up missing. So if you’re going to be sporting a geek chic Star Wars look at the convention next week, please feel free to take a picture of it and post it on our Facebook Page! THOSE PANTS. So amazing! Have fun at Celebration, wish I could go! Those pants aren’t available anymore, do you know anywhere else I can find them?